UK manufactured and developed, Burst My Bubble e-juice range is made with a high 70%VG mix to offer the most in flavour and vapour production, along with a 0mg nicotine strength. 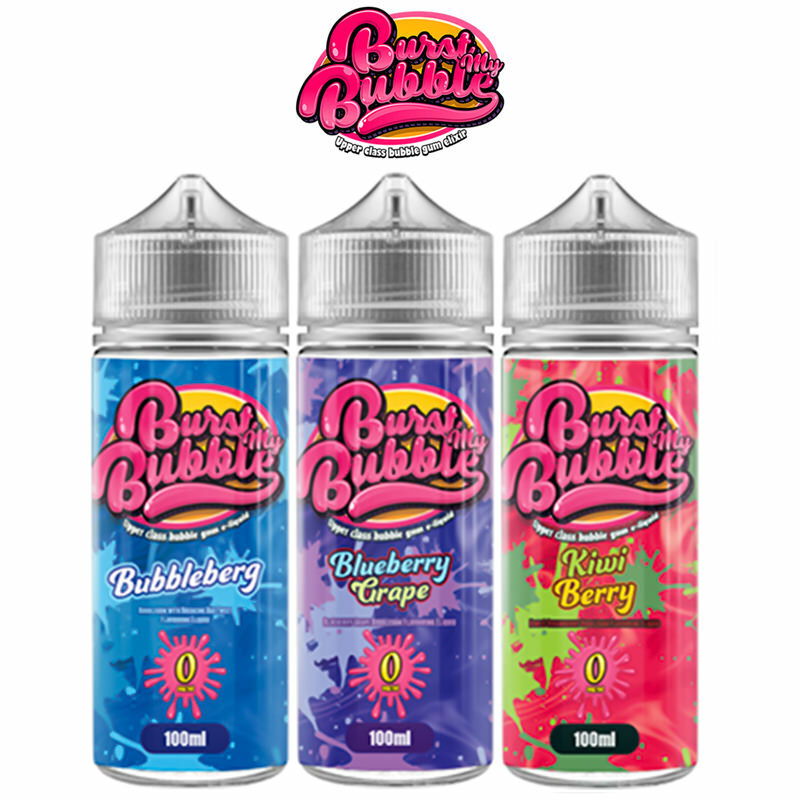 The core flavour delivered is a sweet bubble-gum flavour blend, with a variety of flavour variations including Blueberry Grape, Kiwi Berry, and a Strawberry and Watermelon mix. Burst My Bubble E-Liquids are available in eye-catching 50ml and 100ml bottles and provide the user with a great flavour explosion when vaped. This brand passes Vapestreams taste test with flying colours and can be purchased on our site.